On Monday, Ivan Semwanga's body left Kampala for Kayunga where he was laid to rest on Tuesday. The throwing of money in the grave is still on everyone's lips, it's the talk of the town. Ivan's ex-wife, Zari Hassan, arrived at Kayunga on Tuesday afternoon. The Toloba singer was surrounded by over 10 muscle men in tight t-shirts as she made her way to the reserved tent. Her children were also tightly guarded. Several people from all walks of life attended. It was a tourist attraction for the locals who resorted to looking at the various posh rides that mourners came with. Some were heard saying that there's a lot of money in Uganda, but we just don't know how to go about it. 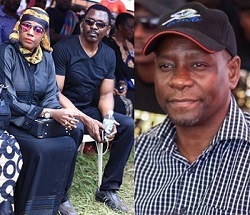 SK Mbuga and Bobi Wine among others spoke at the funeral. 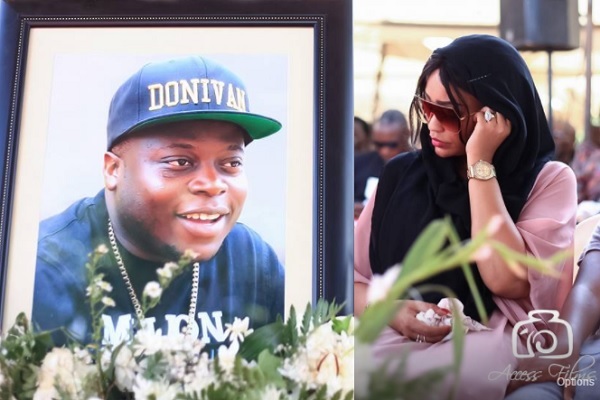 Scroll down for video highlighting the arrival of Zari and other scenes at the burial of the Rich Gang President, Ivan Semwanga. Mourners at the Ivan Semwanga funeral in Kayunga. In the pic is Chameleone talking about the good deeds that Ivan did for him as Weasel looks on. 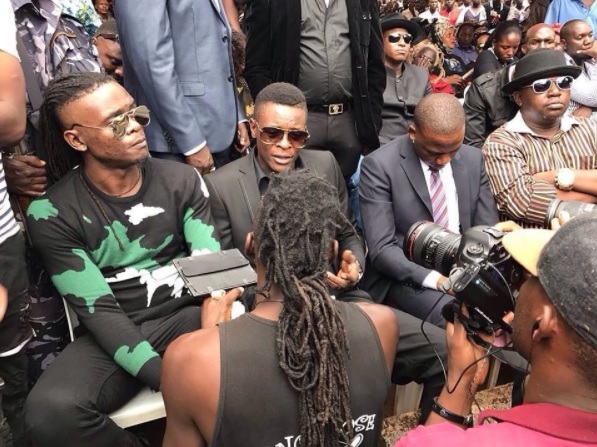 Veteran singer, Dan Kazibwe aka Ragga Dee [stripped shirt with a black hat] also attended. 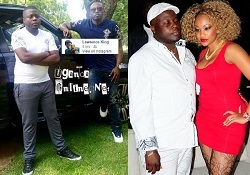 Ivan Semwanga was to turn 40 in December. He left behind 3 sons with ex-wife, Zari Hassan who is currently dating Tanzanian singer, Diamond Platnumz. They have two children, a son and daughter making her a mom of five.